I am currently responsible for 3 websites (along with this one), all of which are listed below. Click on the image or the link to be taken to the respective site. Want a website like this for yourself or your business? Use the Contact page to get in touch! 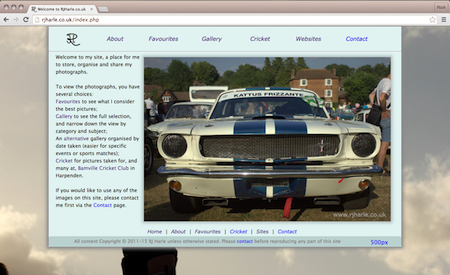 The site you are currently viewing - a site dedicated to my photography and web design. If you are interested in having a website created, please contact me via the page above. 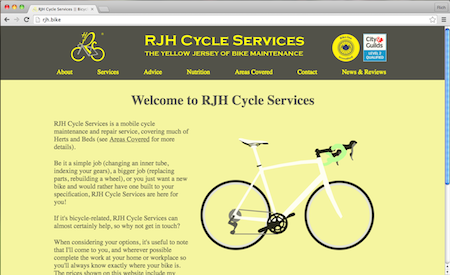 My main business - a mobile bicycle maintenance and repair service. For everything from a simple puncture repair, right up to a full strip-down and rebuild, I'll come to you and complete the work at a time and place convenient to you! Qualified, insured, and reasonably priced. 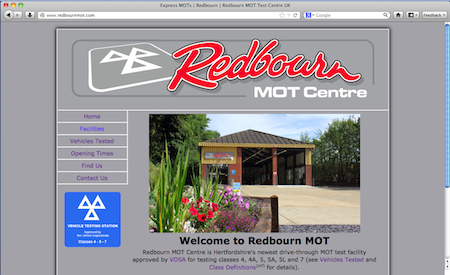 A local, friendly independent MOT testing centre in Redbourn, Herts. Opened in October 2012, they offer drive-through MOTs with no appointments necessary.